Looking to reinforce your traditional operations with a modern approach? -- Leverage your onsite team's time. See how Delegate can help! 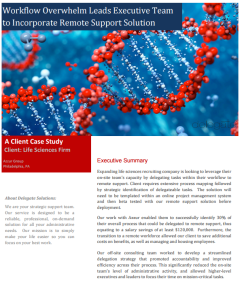 Download this FREE case study to learn how we were able to help a life sciences recruiting company to leverage their on-site team's capacity by delegating tasks within their workflow to remote support.